Phil Evans has documented his buddy James Caroll this month to share his design skills he uses to recycle old decks into picture frames. Watch this and get inspired. If you cannot make your own, you can buy them here. 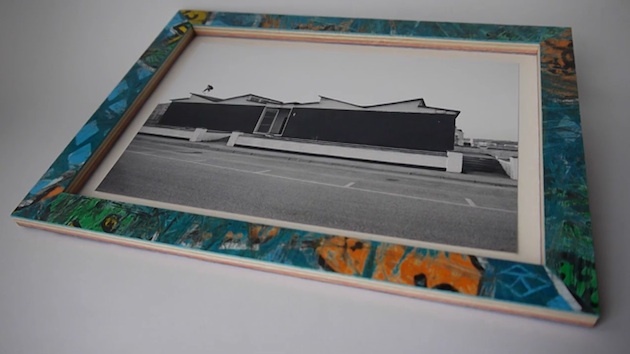 Skate Frames by Design Jazz from Philip Evans on Vimeo. Philip Evans is back a fantatastic Panoramic Series featuring footage shot in Stockholm with Daniel Gronwall. It was shot completely in Panoramic using a set of photographic print filters and painted filters. 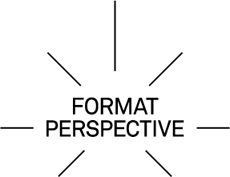 Check the Format Perspective website for a much more detailed account of how this was put together. Panoramic Series- Stockholm with Daniel Gronwall from Philip Evans on Vimeo. It was a pleasure to hear from Phil Evans last night who sent over this new edit shot last year whilst filming for the Format Perspective full length through Slovenia and Sweden. The results in this edit are a new experiment mixing HD, Super 8 and some illustration. Click play for footage from the trip featuring Emma Lindgren, Olivier Shonqvist, David Stenstrom, Craig Scott and Jake Snelling. Format Perspective can be purchased here. Support the cause. If you have been stoked on the Format Perspective teasers that have been appearing online this summer then get hyped on the UK screening that has just been announced. 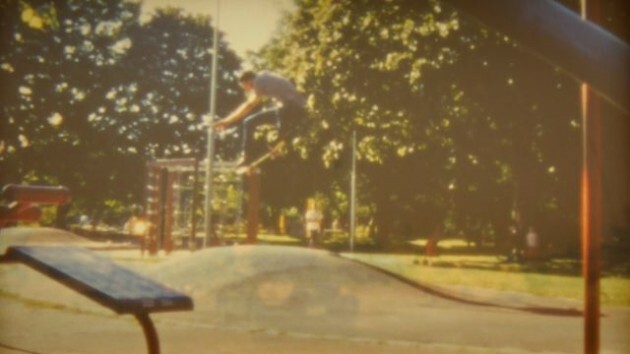 Phil Evans’ film that documents the lives and opinions of six European skate photographers will be shown on Thursday 4th August, 8pm, The Wayward Gallery, 47 Mowlem Street, London, E2 9HE in association with Kingpin Magazine and Carhartt. German skate photographer Sergej Vutuc features the latest teaser from Phil Evans’ exciting new documentary Formnat Perspective. Take a peak right here. Belfast skate photographer Stuart Robinson features in the second teaser for Format Perspective, Phil Evans’ new Super 8 documentary on skate photographers that is incoming. Click here for more.